Origin and Habitat: Eastern Cape Province (Cape Provinces, Southern Africa, Africa). Type Locality: Zwartkop River, Dist. of Uitenhage. Description: Bulbine inamarxiae has stiff lanceolate leaves that are translucent, glass-like with jelly-like contents, stored for the times of drought. The tip of the leaves normally dries out a bit and suddenly it makes a truncated piece of leaf. 1) Williamson, G. and A. P. Dold. 2004. 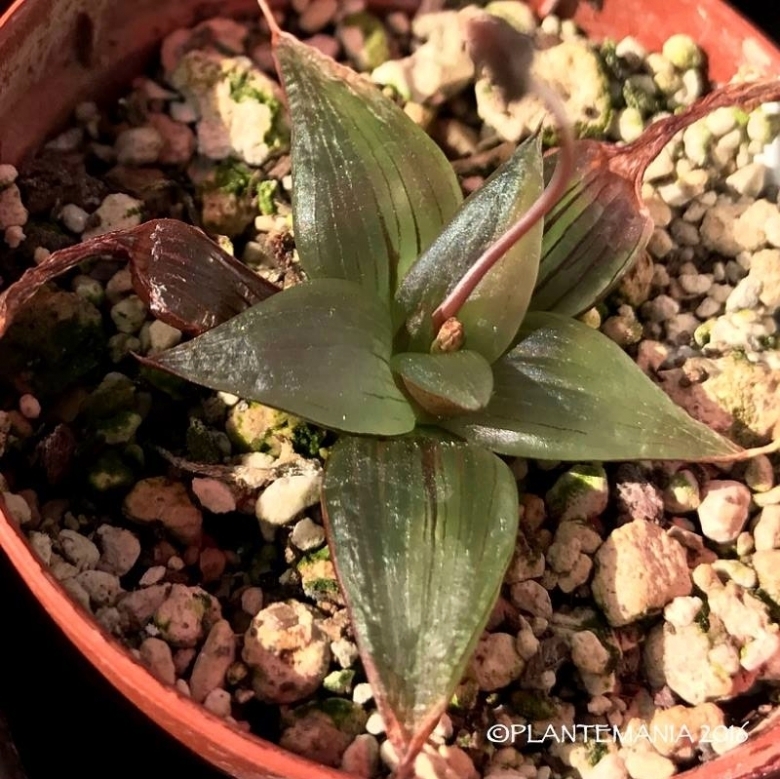 "A new dwarf species of Bulbine Wolf (Asphodelaceae), B. inamarxiae G.Will. & A.P.Dold." Aloe 41: 28–31.